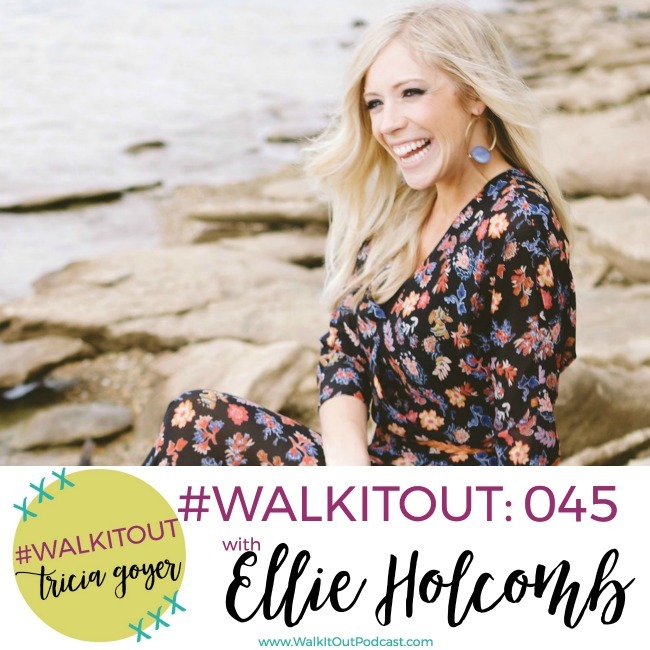 On today’s episode of #WalkItOut Podcast, we welcome guest Ellie Holcomb! You may have heard of Ellie before if you are familiar with Christian music. Ellie is one of our family’s favorite singer. Her album The Red Sea Road brought a lot of healing to our family, especially after their adoption. It talks a lot about how God is there even through the hard times. Today, we’re talking about her new album Sing Creation Songs. 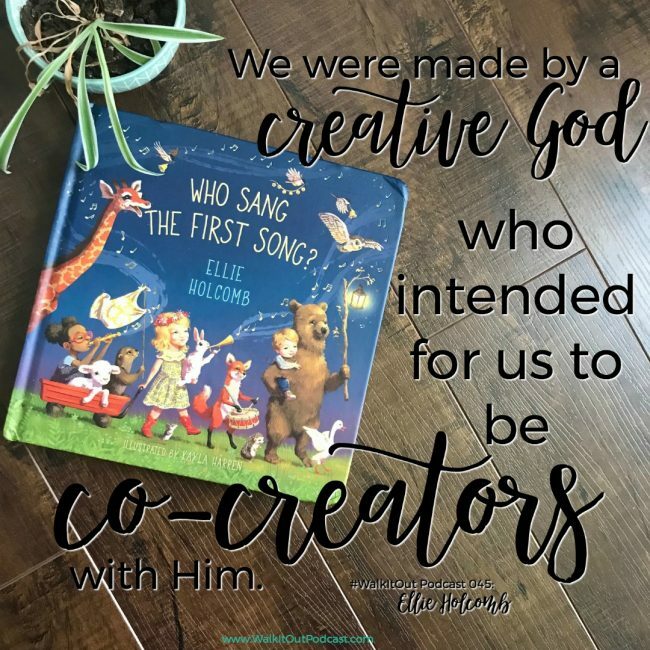 It’s a children’s music project that fits so well with what Ellie believes. What I love about this interview, is Ellie shares how her kids were involved in the making of this album. She first started with a children’s book (which we’re also going to be chatting about) and depending on how they interacted with the story determined how she continued the story. Then the songs came and she would sing them over her kids. I love how God uses us to bless the children in our lives, but he also uses the children in our lives to inspire our work. I wouldn’t be the author I am today with the kids in my life. I know you are going love getting to know Ellie in this episode. You can listen above or on iTunes! I’d love it if you shared with your friends! I pray for our listeners today. Even though we’re going into a tough season with the busyness of the holidays in the midst of these busy times, our souls would turn to you and we would remember you are the reason for Christmas. You are the reason we have all that we have. You are the gift given to us. Instead of being overwhelmed this season, may our souls rejoice to you.